HOW DO HUMAN & ARTIFICIAL INTELLIGENCES DIFFER? We had a president Obama running amok with his “signature strikes” with half-blind drones with pixelated vision killing civilians, far from battle fields, in far-away lands. These crimes full of technological arrogance gave a bad name to Artificial Intelligence. Are we far from robots running amok? It’s clear that the Obamas of this world will have to be reined in. The (Korean) world champion of the famous Chinese game “Go” was beaten by a Google computer: “I am very surprised because I have never thought I would lose. I didn’t know that AlphaGo would play such a perfect Go.” The champ looked a bit frazzled, but not as angry as Gary Kasparov, the world chess champion, when he was beaten by an IBM computer program, DeepBlue. Kasparov stormed out of the room. Kasparov’s anger was not an intelligent reaction, because it was obvious, all along, that chess is not such an intelligent game that a simple machine cannot do better. If you want a really intelligent game, try to become really ethical (vote for Sanders, not the corrupt one). Ethics? A supremely human game where my friend Obama failed miserably. He and his toys, armies of drones and plutocrats. The Artificial Neural Networks We Build Do Not Grow Naturally. And Their Neuronal Nodes Are Simplistic Relative To Real Neurons. Real Neurons Are Environmentally Sensitive Self Building Micro Computers. DeepBlue used brute force to beat Kasparov. With “Go”, the breakthrough came from using neural networks. Neural networks can be made to learn. The computer used a program called “Alphago” (devised by my whipping boy, Google, which I congratulate, for once!) “Alphago” had to use something closer to “INTUITION”, some even say, imagination. Does Patrice “Make Things Up”? I Hope So! All these sons were not named emperors-to-be, by their doting fathers. Only Marcus Aurelius did that This is of considerable import, because Marcus Aurelius is viewed as a pinnacle of wisdom by a large following (Marcus is the Muhammad of Stoicism). That, in turn, shows that Marcus’ followers have a serious problem evaluating reality. And sure they do. A philosopher with a prestigious chair reacted angrily, accused me in public of “MAKING THINGS UP”. Even as a self-described “stoic” he could not take the reality of all these sons anymore. Of course, I did not make anything up, in this particular case. I shoot vicious minds to kill, or, at least, maim. It’s best done with the truth. But accusation got me to think. Do I make things up? That’s one beautiful thing about nature and its dangerous animals: even rattlesnakes can help me to think. Especially rattlesnakes. The obvious glared back to me: even to find the truth, one has to make things up. First make things up (that’s imagination, which is most important, as Einstein pointed out). That’s making a theory. Or, in the deep cases, making a new neural networks (this is the part where intuition, that is emotion enters, as it is exactly what builds the network). Then checks that this new theory fits the truth (that’s the part where the network learn). In the case of Aurelius, after revering him for a few decades, I came across facts and quotes which changed my emotional disposition relative to him. Instead of staying a psychological prisoner of his “Meditations”, I became an hostile witness, and explored facts which would demonstrate Marcus Aurelius’ viciousness. I found plenty (including the “natural son” story). My theory of the mind is simple: impelled by genetics and epigenetics (both in the most general sense imaginable) plus the environment, neural circuitry gets elaborated in an attempt to make mini models of pieces of nature within the brain. So mental circuits are (SORTS OF) answers to the environment. “Sort of” is crucial: it means the neural circuitry elaborated in reaction will often NOT be (capable of being) a faithful (enough) model of the environment. That’s literally impossible, but that discrepancy is precious. That discrepancy is the difference between what the neural circuitry impelled by the (perceived) environment and said (real) environment, is human creativity. What is going on with Artificial Neural Network machines? They learn, as we do through what is called the Hebbian mechanism. How to explain neural network learning in the simplest terms? Basically, in very rough first approximation, imagine the neural network is a canal system (made of canal which can be eroded). Suppose one wants an output: more water through a desired exit gate. Suppose one augment the flow there (say by lowering that exit gate). The canal network will adjust itself to maximize output. However, we, very intelligent animals use a META-HEBBIAN mechanism of neuronal network genesis. 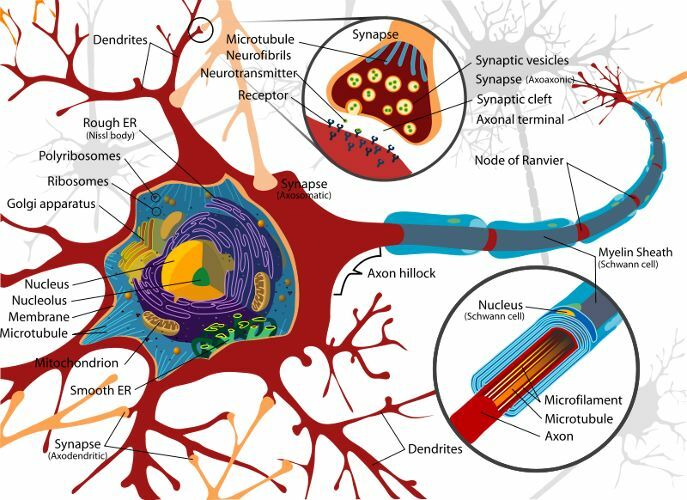 In Artificial Neural Networks, the network is given, and then it learns: the neural circuit is provided presently by humans to become part of a machine. The machine does not make it itself. But we do. Human brains literally make things up, because we objectively, physically, make our neural networks up. We do not just tweak our networks. The networks which characterize our highest intelligence are themselves answers to the environment we are in. To make a neural network we use emotions: it is known that emotional activity drives dendrite growth, thanks to glial activity. These neural networks’ construction is tightly controlled from the outside, not just by the environment in the most general sense, but, essentially, by what we call culture. Culture is the set of schematics of the networks which work. So, when we want to explore if machines could become as clever as human beings, we have to ask: could machines be devised to make things up? Could machines be devised which would make their own artificial neural networks? Many of our fundamental neural networks (such as those controlling breathing) from “genetics” (in the most general sense). Those arise semi-automatically (with minimal back and forth with the environment). However, we make our own most sophisticated neural networks from the emotions which guide their architecture. Emotions are organized topologically, with NON-METRIC topology. The superiority of the human mind comes from making things up, or making ourselves up. Such machines would be similar. Technologies, the special discourses, are our genus’ genius. Technologies made our genus possible, for at least three million years. Artificial, creative intelligence is more of the same, generating what we become. Not only we are becoming gods, but gods we cannot even imagine. Imagination is when we make things up. It entails the construction of neural networks which will constitute what future knowledge is made of. This is why imagination is more important than knowledge. Because, without imagination, all the knowledge we would have would reflect neither creativity, nor even will. Oh, by the way, should we panic? No. But it means that clueless individuals such as the ethically challenged Obama should not have the powers he had under stupid and Nazi-like technology such as drones used to kill civilians. It’s not a matter of replacing Obama by Sanders (although that would be a good idea). We need a revolution (as Sanders say). We are going to get, in any case, a technological revolution. Intelligence is going to become a science. But that intelligence revolution has to be about direct democracy fed by the best information possible, that is, total transparency, the exact opposite of the world the malefactor manufacturer Apple is proposing to us. And Obama in all this? He has only a few months to atone for the crimes he committed with the wanton usage of high tech he made. But first, he would have to realize how egregious they were. This goes well beyond drones. Having the correct ethics will be fundamental for the safe and effective deployment of all too human artificial intelligence.